Enter our New Year&apos;s Resolutions Giveaway! Can you believe that 2016 is almost over? Time to look forward to 2017 and that means New Year’s resolutions. And 2017 is the year we are all going to keep them, right? Here are some of the most popular New Year’s resolutions and how to achieve them in Utah Valley. 2017 is the year to get that body you’ve always wanted! Workout as a family at any one of the fitness centers around Utah Valley. The Provo Rec Center has a gym, basketball courts, pickle ball courts, a playground, an indoor pool and an outdoor pool. New for 2017, the Provo Rec Center will be offering child care in the mornings. Looking for a stretch goal? How about running a marathon? 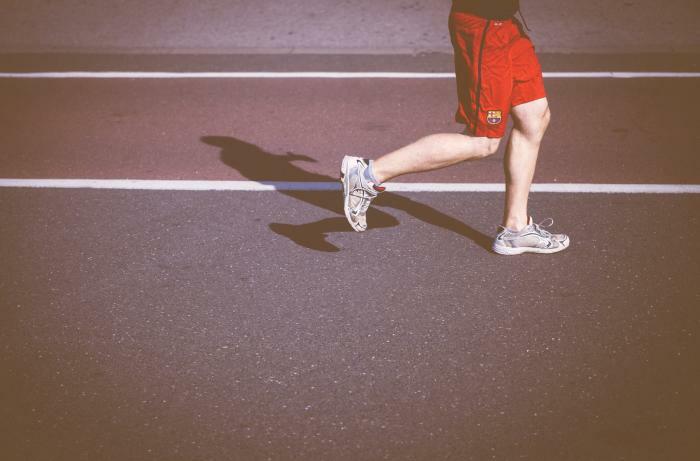 The Utah Valley Marathon is in June giving you ample time to train. Seems too daunting? The Utah Valley Marathon also has a half Marathon and a 10K. This year, entrants will get a free jacket commemorating 10 years of the Utah Valley Marathon. Let’s face it. We’ve probably eaten too many Christmas cookies, rolls, and candy canes during the last month. Time to do a diet 180 and focus on healthier options. One way to eat healthier is to cook at home. I personally love double ad Wednesdays at Sprouts in Orem. I can get lots of fruits and veggies for a cheap price. If you’re a student, you can get 10% off your groceries on Thursday. If you want to eat out, don’t despair. There are several delicious restaurants that are easy on the calories but not skimping on the flavor. 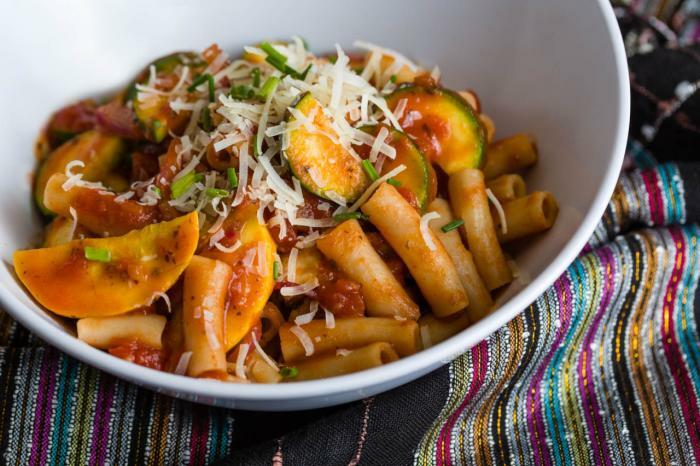 Good Thyme Eatery in Downtown Provo serves a selection of salads, pastas, sandwiches, and tasty protein. Another downtown option is The Spoon at Nuskin. In the northern part of the county, try one of the many salads at Mad Greens. My personal favorite would definitely be Blue Lemon in Highland. Their Tomato Artichoke Chicken is to die for! There’s some exhilarating about conquering a fear. Whether it’s public speaking, dating, mushrooms, or the dark, this is the year to face them head on. If you’re afraid of heights, conquer it with the Winter ZipTour at Sundance. 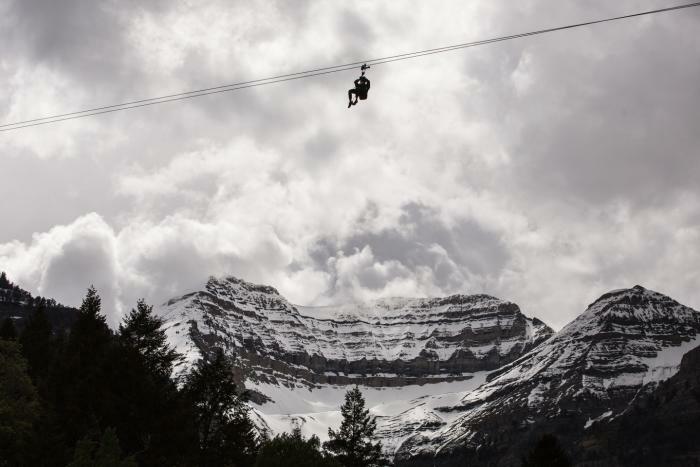 Soar over Sundance Resort as you admire how beautiful Mount Timpanogos looks with snow. You can control your own speed so you can zip down at 65 miles per hour or take a more leisurely pace and snap an awesome selfie. According to this recent article in the New York Times, our well being can be linked to the quality of our relationships with family members. Luckily, Utah Valley has many family friendly attractions. 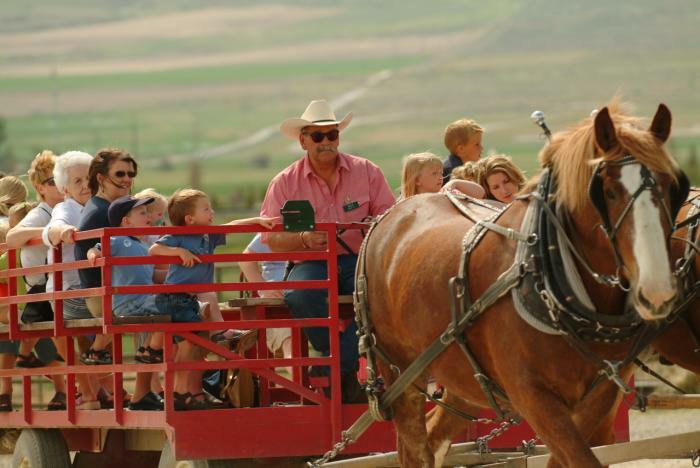 Thanksgiving Point, in Lehi, offers a lot of activities for kids and adults alike. Check out dinosaurs at the Museum of Ancient Life. Play and learn at the Museum of Natural Curiosity. Learn how a farm works and where your food comes from in Farm Country. Or enjoy the beautiful scenery at the Ashton Gardens. Missing the beach? Head to the Provo Beach Resort where summer is all year long! Have a friendly competition at the bowling alley. Try the ropes course. Learn how to surf on the FlowRider. Anytime at Provo Beach Resort will definitely be one that your family won’t forget. Another fun family activity is heading to your local library. Read books together or let everyone pick their own book. Libraries also have fun events throughout the week. Head to a storytime or bring the family to a free yoga event. It’s a free way to spend wonderful time with family. Stay tuned for our first giveaway starting Monday, January 2nd!